What is an overstayer? 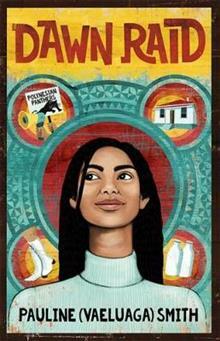 Through Sofia's heartfelt diary entries, we witness the terror of being dawn-raided and gain an insight into the courageous and tireless work of the Polynesian Panthers in the 1970s as they encourage immigrant families across New Zealand to stand up for the... read full description below. Like many 13-year-old girls, Sofia's main worries are how to get some groovy go-go boots, and how not to die of embarrassment giving a speech at school! But when her older brother Lenny starts talking about marches and protests and overstayers and how Pacific Islanders are being bullied by the police for their passports and papers, a shadow is cast over Sofia's sunny teenage days. Through her heartfelt diary entries, we witness the terror of being dawn-raided and gain an insight into the courageous and tireless work of the Polynesian Panthers in the 1970s as they encourage immigrant families across New Zealand to stand up for their rights. Pauline (Vaeluaga) Smith is of Samoan, Scottish and Irish descent and was born in 1963 in the small town of Mataura in the lush green Southland of Aotearoa NZ. She has been a classroom teacher, university lecturer and events manager. The 'magic' or best parts of her life are during weekends and holidays at the family crib (known as a bach to North Islanders) in the gorgeous seaside town of Riverton, where she spends time with her husband Geoff, their daughters, grandchildren and the extended whanau, and where everyone fights over the hammock chair under the tree. My New Zealand Story: Dawn Raid is her first book.